Maintaining good mental health is just as important as keeping physically well. Our mental health involves our thoughts, feelings, actions, interactions with others, and our ability to cope with everyday life. Our mental health is also closely linked to our physical health; often depression is linked to headaches, anxiety is tied to gastrointestinal issues, and panic attacks cause hyperventilation. Without mental wellness, we can’t be fully healthy people. Dalton Associates’ General Counselling division strives to provide customized mental health support and psychological services to ensure you and your loved ones can achieve mental wellbeing. We have mental health professionals specially trained to work with people of all ages, experiencing a wide range of challenges. Dr. Dan Dalton has spent more than 30 years providing psychological assessment and treatment to adults, families, youth and children with special needs. He is a Registered Psychologist with the College of Psychologists in Ontario, practicing and supervising in Counselling and Rehabilitation Psychology services throughout the Greater Toronto Area and South Central Ontario. 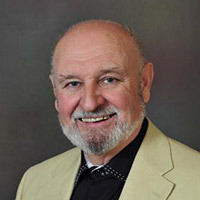 His professional career includes: 15 years Director of Clinical Training and Dean of Adlerian Studies for the Adler School of Professional Psychology in Ontario, and 11 years as the Coordinator of Special Services for the departments of Psychology, Social Work, Speech and Language Pathology, and Child and Youth Counselling within the Halton District School Board. Childhood and adolescent development are important stages in our social, emotional, and physical growth and development over the course of our lives. What happens in our early years may have an effect on our mental health, physical health, relationships, education and employment, and our coping abilities throughout our lives. Right now in Canada, there are approximately 1.2 million children who have a mental illness. Every family experiences challenging times. Sometimes families need support to move through difficulties that arise, such as marital breakdown or divorce, an illness or death in the family, financial challenges, or ineffective communication. Other times, the family needs support when one member is experiencing social, emotional or physical difficulties. Everyone experiences times in their lives when things don’t work out the way we planned, our stress becomes overwhelming, or we lose someone or something that was important to us. Individual counselling, also called psychotherapy or individual therapy, is a collaborative partnership between you and a trained mental health professional. It is common for couples to experience challenges in their relationships, brought on by the stresses of life. Even a healthy marriage can experience difficulties around parenting, traumatic incidents, finances, communication, anger management, etc. Our marriage and couples counselling services support couples experiencing such challenges, towards maintaining a healthy relationship.